This very heavy sterling spoon features a portrait of Mr. Childs . 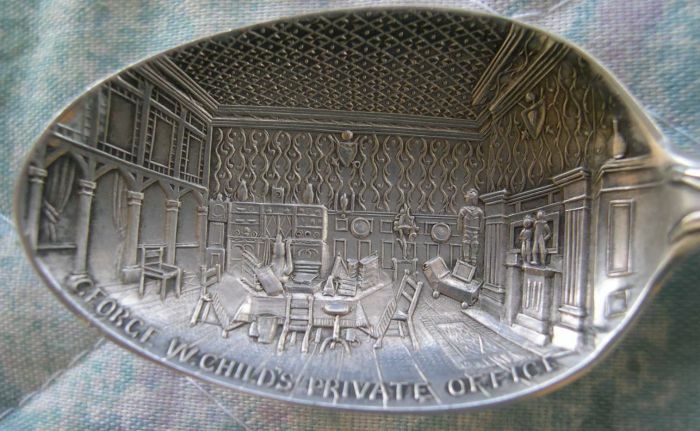 Wording wrapping the handle "George W. Childs"
The scene embossed in the bowl is one of the most impressive detailed pictures which I have seen. "George W. Childs Private Office"
The man had a reputation for being frugal, but this office sure looks impressive to me. Mr. Childs died on Feb 3, 1894 and I suspect that this spoon was created shortly thereafter. Mr. Childs started life as a poor boy and joined the navy at age 13. After his release, he worked several jobs in Philadelphia and then opened his own publishing business. strongly supported the Union. Childs bought the paper for a reported $20,000. 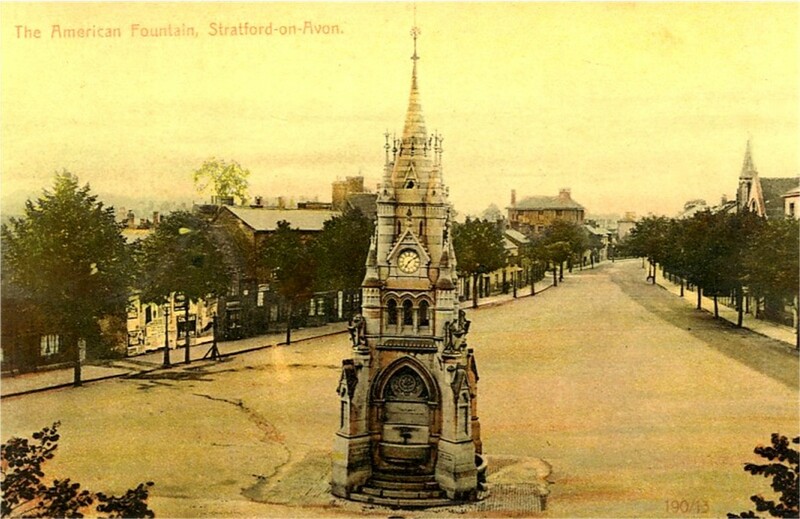 He was also involved in real estate and created one of the first planned communities in the USA. Since my name is Wayne and I lived in a planned community, I thought that this was an important piece of trivia. This spoon was manufactured by Durgin (1853 - 1905, Rhode Island) and was noted for its detailed wormanship. The spoon was retailed by Bailey, Banks & Biddle, a famous high end jewelry retailer. Mr. Childs was also known as a philanthropist. He is reputed to have helped dozens of causes. 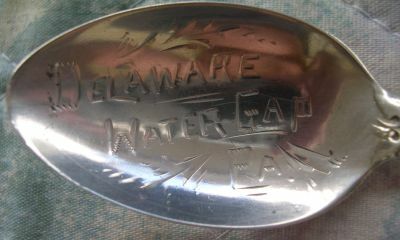 This pretty sterling spoon comes from the Delaware Water Gap in Pennsylvania. The words in the bowl are lightly embossed with hand engraving. It was made by Alvin Manufacturing Company.